Very often, especially when traveling, you may find yourself with one wired Ethernet connection for Internet access (or one 3G cellular data modem), but multiple devices that you want to be able to go online. Using the built-in Internet Connection Sharing feature on Windows computers, you can share that single Internet access with any device over Wi-Fi or by connecting with an ethernet wire. In essence, you can turn your computer into a wireless hotspot (or wired router) for other devices nearby. The following instructions are for Windows XP. There are separate instructions for Vista and Windows 7. You can also share your Mac's wired internet connection via WiFi. Log on to the Windows host computer (the one connected to the Internet) as an Administrator. Go to Network Connections in your Control Panel by going to Start > Control Panel > Network and Internet Connections > Network Connections. Right-click your Internet connection that you want to share (e.g., Local Area Connection) and click Properties. Under Internet Connection Sharing, check Allow other network users to connect through this computer's Internet connection. Optional: A lot of people don't use dial-up anymore, but if that's how you connect to the Internet, select Establish a dial-up connection whenever a computer on my network attempts to access the Internet. Click OK and you will receive a message about your LAN adapter being set to 192.168.0.1. Click Yes to confirm you want to enable Internet Connection Sharing. Your Internet connection will now be shared to other computers on your local network; if you connect them via wire (either directly or through a wireless hub), you're all set. 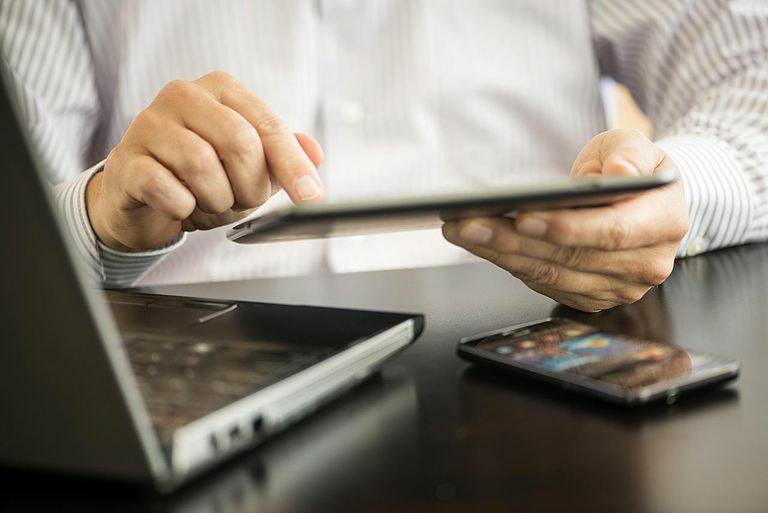 If you want to connect the other devices wirelessly, however, you'll need to Set Up an Ad Hoc Wireless Network or use newer Wi-Fi Direct technology. Clients that connect to the host computer should have their network adapters set to get their IP address automatically (look in the network adapter properties, under TCP/IPv4 or TCP/IPv6 and click Obtain an IP address automatically). If you create a VPN connection from your host computer to a corporate network, all of the computers on your local network would be able to access the corporate network if you use ICS. If you share your Internet connection over an ad-hoc network, ICS will be disabled if you disconnect from the ad hoc network, create a new ad hoc network, or log off from the host computer. What Is Internet Connection Sharing?